Atlantic Hotel Penally, Hotel Wales. Limited Time Offer! Atlantic Hotel. "Atlantic Hotel" is a 3-star hotel. It is a convenient base point from which to discover Tenby. The edifice has benefited from a recent refurbishment. Observe nature in the private garden. 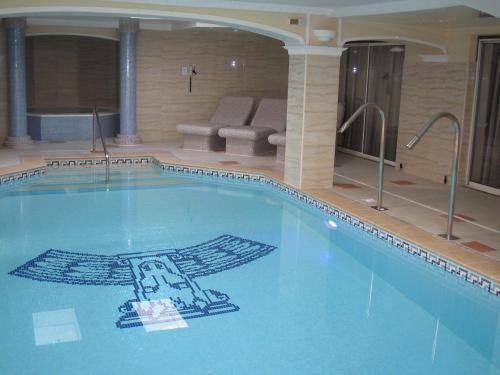 Guests can take a swim since this hotel presents its guests with a swimming pool. After a long or busy day, you have the option to recover from your busy day in the onsite spa. Refresh yourself in the jacuzzi or the hamam. No need to leave the comfort of the hotel for dinner as there is an onsite restaurant.